See the PA Dept of Agriculture Animal Health Rules and Regulations (link in sidebar) for additional animal health requirements. 4H-FFA Members MUST help at the Tuesday cleanup after the fair to receive premium checks. Premium checks will be distributed after clean up. If members are not available to help due to 4H or FFA event, checks will be mailed. Exhibitor must enter the Showmanship Class when pre-registering exhibits. 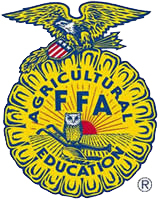 4H or FFA members must be present and have charge of their animals at the time of judging. In the event of 2 or more animals owned by one exhibitor in the same class, the second animal must be shown by a 4H or FFA member. Dress code rules will be enforced and Hat Numbers are required. The exhibitor must show the animal in the open show.